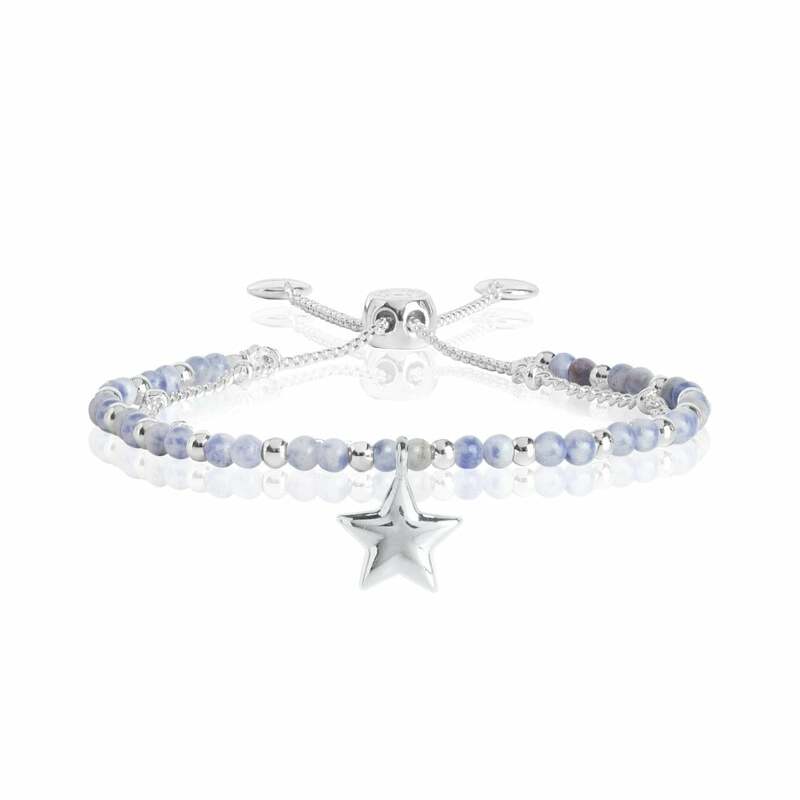 Joma Jewellery's gorgeous Signature Stone 'Friendship' bracelet is the most beautiful and heartfelt token.This unique bracelet contains two layers, with one layer consisting of calming blue lace agate semi-precious stones, and the other containing a fine, silver plated chain. Finished with a pretty silver plated star charm in its centre, this 'Friendship' bracelet will make the perfect gift for your sweetest friend.Please keep your item dry at all times and away from perfume and body creams in order to preserve any plating and to ensure your piece lives a long and beautiful life.Each piece of Joma Jewellery comes in a gorgeous Joma gift bag with a gift tag for you to write the recipients name for easy peasy gift giving.SIZE: Recommended for adults. Adjustable.